Alexa J is the sister yacht of Indonesia’s eponymous Alexa. 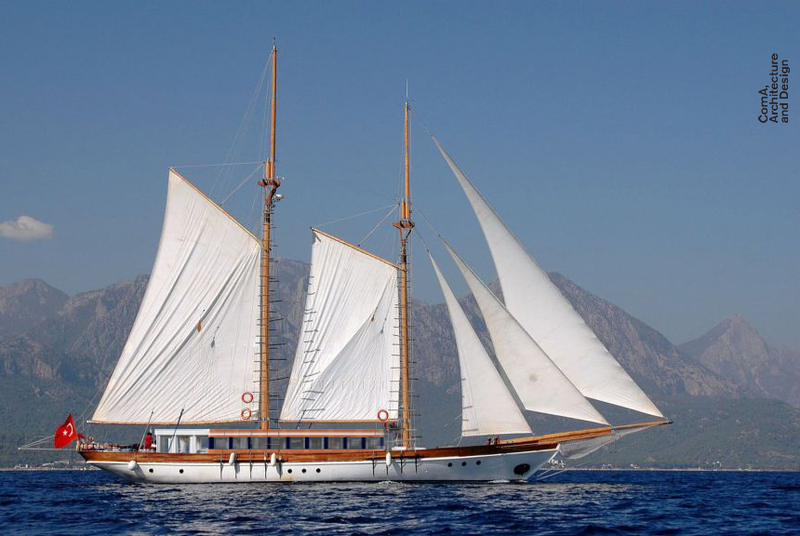 This classic sailing yacht delivers exclusive private sailing sojourns in the Mediterranean, designed with just two guests in mind. Built some twenty years ago, the 38-metre Alexa J was fully repurposed in 2017 as a luxury private sailing yacht by her owner Veronika Blomgren, an acclaimed interior designer from Moscow. 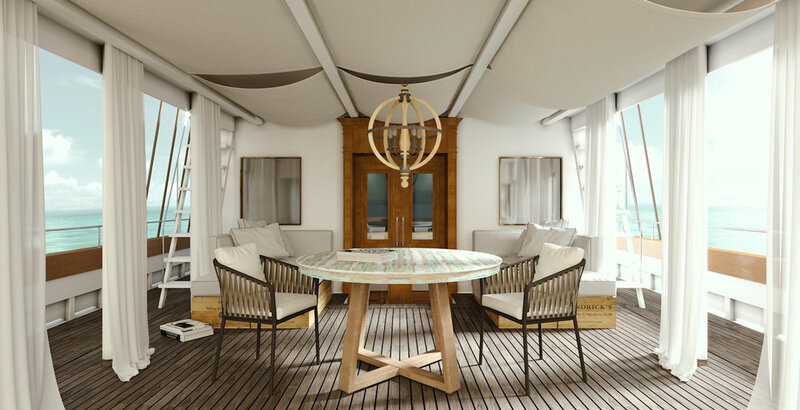 The yacht’s refurbishment took place in Portugal, and a blend of mulberry wood, antiquities and classic yet contemporary design calls to mind the vessels of celebrated explorers that plied these seas centuries ago, adding to Alexa J’s undeniable romance. Despite her design as a single cabin yacht, Alexa J can comfortably convert the library on the lower deck into an additional sleeping area, accommodating children or a second couple. A dedicated crew of 5, including a cruise director, chef, dive guide and massage therapist are on hand to take care of guests. Whether it’s the heritage and wild coastlines of the Ionian Islands, the quaint villages and sizzling coves of the Amalfi Coast or the irresistible turquoise waters and lemon-scented breeze of Sicily that entice you to the Mediterranean Sea, Alexa J is the perfect private charter yacht for a memorable adventure. Alexa J has just one exquisite master cabin spanning over 30 square metres, with large windows offering captivating views over some of the Mediterranean’s most majestic landscapes. The master cabin also hosts an ensuite bathroom and a walk-in wardrobe. Aside from the master cabin, the main deck onboard Alexa J features an indoor living room with panoramic windows and a modern bridge where guests can join the captain as he navigates through a maze of postcard-perfect islands in Greece or Italy. Outside lies the oversize open-air lounge for alfresco dining and relaxing, while the upper deck reveals the fly bridge alongside an open space perfect for yoga and meditation, and a roof top lounge where guests can sleep out under the stars. Below deck, guests will find a fully equipped galley, a stylish library (which can be converted into sleeping quarters) and a home theatre room. The chef onboard Alexa J collates menus according to guests’ desires, with a focus on fresh, healthy cuisine paired with incredible wines from around the world. With her classic lines and modern flair, Alexa J is undoubtedly one of the most stylish yachts available to charter in Mediterranean waters, be it Greece or Italy. Alexa J was built in 2017 and spans 38m with a beam of 6.9m and a draft of 3.3m. 1 cabin accommodates up to 2 guests (with space for a child or additional couple available in the library area below deck).